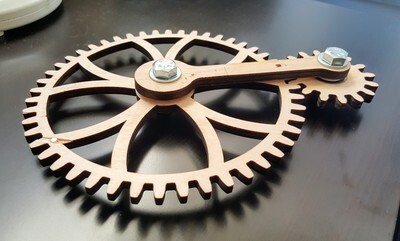 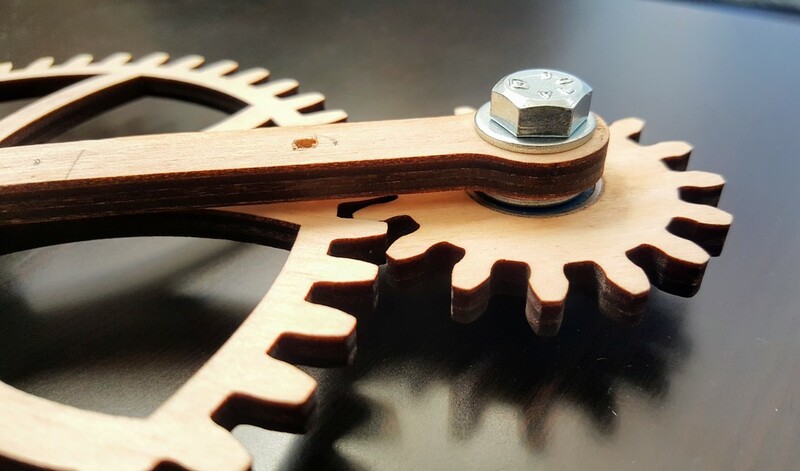 A simple prototype with two functional gears. This prototype helped me fine tune my design parameters for gears. 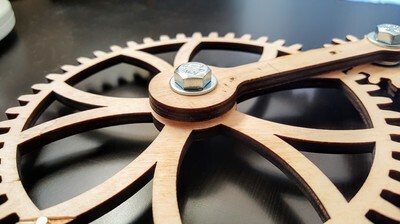 In addition, this was the first test how well laser-cut gears would function.